The Trust has been awarded a silver benchmark rating by a leading organisation which promotes equality and inclusion in the workplace. Sandwell and West Birmingham Hospitals NHS Trust (SWBH) was given the second highest tier by the ENEI – Employers Network for Equality & Inclusion – in the inaugural TIDE Awards. The Trust, which runs Sandwell, City and Rowley Regis Hospitals, was assessed by the ENEI on its approach and progress on diversity and inclusion in the workforce, recruitment, training and development. Only 35 awards were given out throughout the UK. 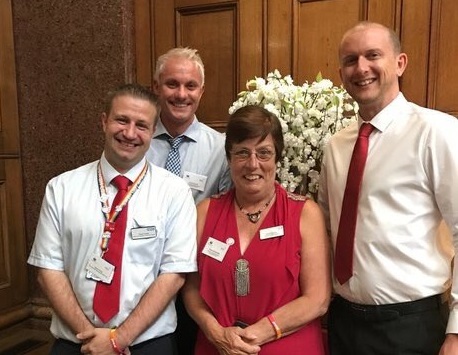 SWBH was highlighted for how it embraced diversity as an organisation, including staff members marching in Birmingham PRIDE, celebrations around the Muslim religious events Iftar and Eid, changing the recruitment process, and launching a new transgender policy to support patients and staff. It’s the first time ENEI, which works with the Government, has introduced the benchmark status. Raffaela Goodby, Director of People and Organisation Development at the Trust, said: “We are privileged to receive this national benchmarking award, and it is testament to the progress we have made to becoming a more inclusive organisation. The Trust will now be able to demonstrate its achievement by displaying a “silver rating logo” on its website. There may also be an opportunity for the organisation to share best practices and achievements at future ENEI events.